I made this with a side of coriander steamed rice and salad. Pair with a Pinot Noir from Sonoma Valley or Carneros. Combine chopped cashews, bread crumbs and Parmesan cheese in a bowl. In another bowl add the flour. In a 3rd bowl add the eggs. Heat oil in a large skillet to MEDIUM. Rinse chicken in cold water, remove excess water and set in a bowl. Season chicken with the salt and pepper. Dredge each chicken piece in the flour, then the egg, the the crumbs. Place in platter or baking dish. Do this until all the chicken is coated. 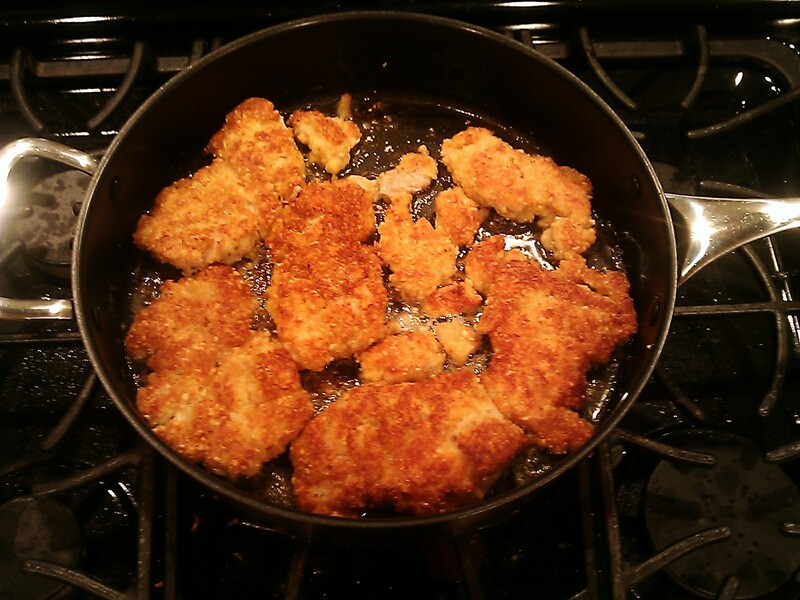 Fry all the chicken pieces about 10-12 minutes each side until cooked through. Fry over MEDIUM heat. Do not fry using high heat. 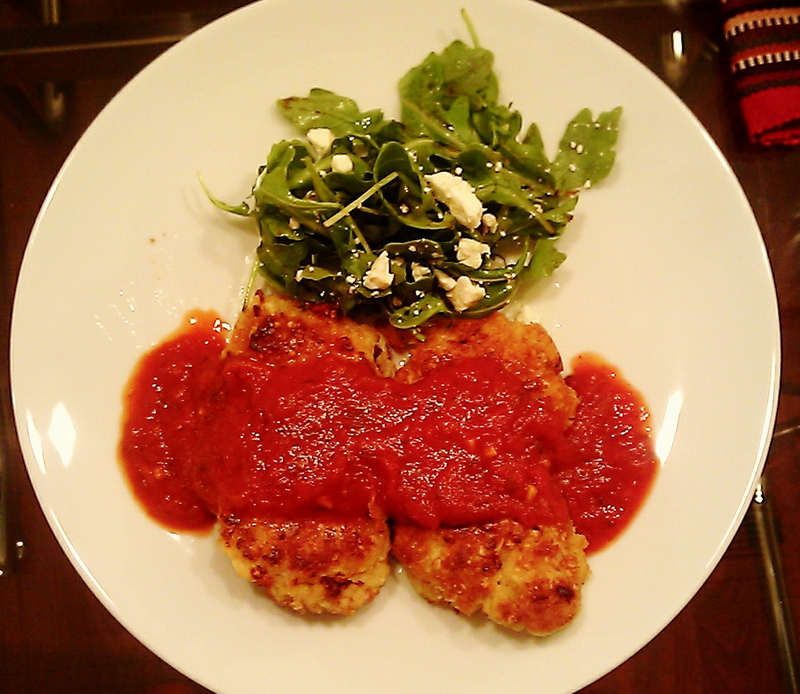 Place chicken onto a clean plate for serving. Heat Marinara sauce in a saucepan and top the chicken for serving. Ohhhh I have to try this!!!! looks delicious!!! Thanks! I think you’ll like it! Hi, I’ve nominated your blog for the Traffic Raiser Award. If you want to participate just go to my blog and follow the instructions. Cheers. Great idea to add the cashews. i need to make a gluten-free version of this… now!